The Best Philadelphia Lifestyle Blogs from thousands of Philadelphia Lifestyle blogs on the web using search and social metrics. Subscribe to these websites because they are actively working to educate, inspire, and empower their readers with frequent updates and high-quality information. Philadelphia Lifestyle newsletter is a comprehensive summary of the day's most important blog posts and news articles from the best Philadelphia Lifestyle websites on the web, and delivered to your email inbox each morning. To subscribe, simply provide us with your email address. Philadelphia, PA About Blog Uwishunu is Philadelphia’s go-to blog for everything fun and exciting happening in Philadelphia — restaurants, bars, events, festivals, arts, music, hotels, museums and more. Facebook fans 772,062. Twitter followers 206,406. Philadelphia About Blog Philly Chit Chat is a photography and news blog about Philadelphia’s social, political, and lifestyle scenes. Facebook fans 9,569. Twitter followers 25,889. Philadelphia, PA About Blog Coverage of parties, restaurants, bars, fashion, and things to do in Philadelphia. Facebook fans 9,126. Twitter followers 8,953. Philadelphia, PA About Blog Coming Up Roses is a Popular Philadelphia Lifestyle Blog in which Erica blogs daily inspiration, tips for shopping on a budget, beauty tips and tricks and much more. Facebook fans 6,276. Twitter followers 5,848. Philadelphia About Blog Philly Grub is a Philadelphia food news, reviews, and scene blog showcasing all that is good about eating and drinking in Philadelphia and South Jersey. This blog is authored by Marilyn Johnson. Philly Grub shares Philadelphia area restaurant news, events and occasionally some reviews. Facebook fans 1,203. Twitter followers 17,962. Pennsylvania, USA About Blog Just Grubbin is a lifestyle blog, podcast, and webseries featuring all things food. We’re not professional chefs or anything like that, just a group of friends that absolutely love food. No, seriously, we have a problem! So of course we decided to document our food adventures. This is us, just grubbing..
Facebook fans 194. Twitter followers 2,021. Philadelphia, PA About Blog A lifestyle blog for young women dining, shopping, playing & living in the city of Philadelphia. Facebook fans 866. Twitter followers 3,750. Philadelphia, PA About Blog Don’t worry, this blog is going to be nothing short of fabulous… just like us. We’re coming at you with fashion, fitness, food, travel and everything in between. Facebook fans 791. Twitter followers 3,305. Philadelphia, PA About Blog A Philadelphia-based lifestyle blog covering fashion, skin care, food, and home decor. Facebook fans 331. Twitter followers 368. Philadelphia, PA About Blog Welcome to Positive Publicity! A Philadelphia-based blog, Positive Publicity is for the girl looking for adventure. Stick around to chat about travel, music, style, food and much more! Facebook fans 135. Twitter followers 1,102. Philadelphia, PA About Blog Space on Third is a Philadelphia lifestyle blog by Amber Burns. Space on Third was created to serve as your digital third space. I hope you come here to find your people, move your creative endeavors forward and to remember why you started your creative journey in the first place. Facebook fans n/a. Twitter followers 1,965. Philadelphia Tri-State Area About Blog A blog about the latest fashion trends, beauty tips and tricks, and related events happening in the Philadelphia area! Facebook fans 887. Twitter followers 10,450. Philadelphia, PA About Blog LivingLesh is a Philadelphia based fashion/beauty/lifestyle blog that focuses on fashion tips for petite women and budget shopping advice. Facebook fans 646. Twitter followers 1,354. Philadelphia, PA About Blog This blog is dedicated to mostly beauty related things from reviews to makeup looks! I started this blog in Jan 2016 after I obtained my Bachelor’s degree in broadcast journalism because I love beauty, writing, and photography. My college experiences and internships inspired me to create my own blog to share my passion for photography, beauty, and fashion. My blog focuses on makeup look, beauty product reviews and fashion looks. Facebook fans 2,050. Twitter followers 701. About Blog Personal Style Blogger From Miami Living in Philadelphia. Facebook fans 21,306. Twitter followers 394. Philadelphia/New York About Blog Vida Fashionista is a Philadelphia based fashion & lifestyle blog sharing affordable outfit inspiration and styling tips. Facebook fans 468. Twitter followers 655. Philadelphia PA About Blog Follow Melody Kewl's Lifestyle Blog to keep updated about style, beauty and fashion posts. Facebook fans 10,661. Twitter followers 3,071. Philadelphia, PA About Blog Chocolate and Lace is a weekend blog featuring simple recipes and cooking, lifestyle, motherhood and travel posts based in New England. Facebook fans 1,102. Twitter followers 1,967. Philadelphia, PA About Blog Candid lifestyle blog encapsulating family, kids, style, DIY and life of a small buiness owner in the suburbs of Philadephia. Facebook fans 282. Twitter followers 135. Philadelphia About Blog I am a 20-something year old lifestyle blogger, foodie, and activist in the greater Philadelphia region. My page will feature a lot of my daily adventures around the city and beyond. Facebook fans 62. Twitter followers 205. Philadelphia, PA About Blog Lindsey Jednak is a fashion and personal style blogger. The Fashionably Broke Teacher started in 2015 as a way to document her personal day-to-day style as a elementary teacher and to show how even as a teacher you can have fun incorporating the latest trends into the classroom. She is currently a 4th grade teacher in South Jersey. Facebook fans 586. Twitter followers 213. Philadelphia, PA About Blog Philadelphia-based lifestyle and personal fashion blog. Facebook fans 331. Twitter followers 2,574. About Blog Antrim Spruce Photography specializes in portraits and lifestyle and corporate photography. And having fun. Always. Philadelphia, PA About Blog A style, beauty, and lifestyle blog for the average lady; because we all deserve to feel fabulous, no matter the budget. Created in Philadelphia by Aoife Laughlin. Facebook fans 65. Twitter followers 595. 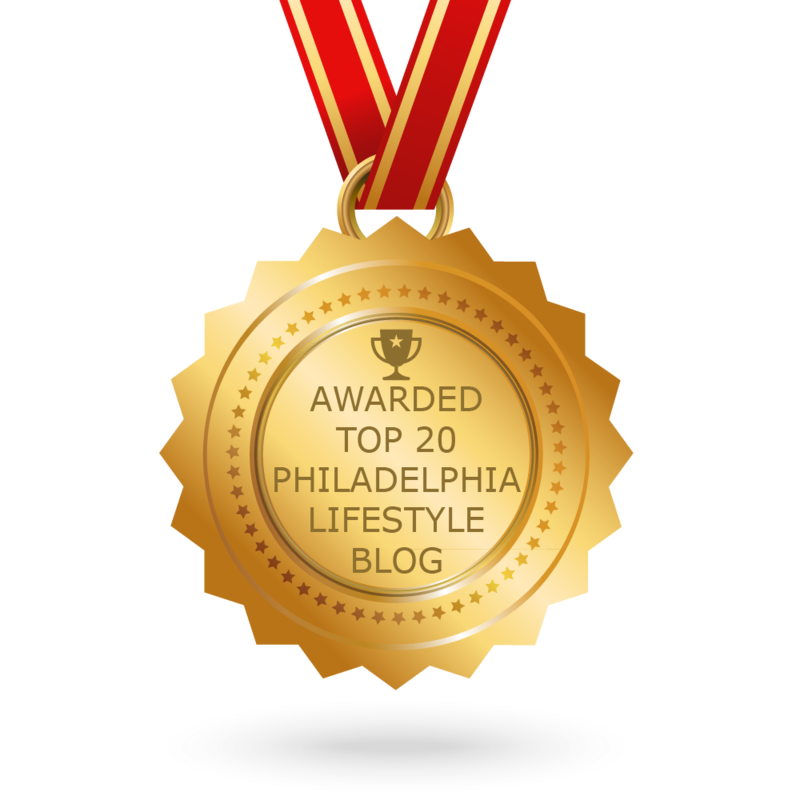 CONGRATULATIONS to every blogger that has made this Top Philadelphia Lifestyle Blogs list! This is the most comprehensive list of best Philadelphia Lifestyle blogs on the internet and I’m honoured to have you as part of this! I personally give you a high-five and want to thank you for your contribution to this world.